What Services Does ABC's Maryland Nanny Agency Provide? ABC Nanny Source offers a fantastic alternative to daycare and other childcare services. It is a remarkable solution to parents who want their children to remain in their home setting and receive individualized attention. 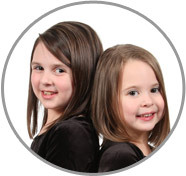 Maryland Nannies can work either full time or part time and we offer answers to the specific needs of each unique family. We understand the challenges attributed with finding the right person to meet every unique need and requirement, and work diligently to surpass every expectation! Permanent Full Time Live Out Nannies in Maryland generally work 40 to 55+ hours per week. Many different activities are included in the average day for a Nanny. First and foremost, a Nanny’s job is to meet the children’s physical and emotional needs. This may include assisting with getting dressed, transportation to and from school or activities, reading to the children, light meal preparation, and providing a stimulating environment for learning and play. Some positions might also request some light housekeeping duties and will always come secondary to the children’s care. If required, these duties will be specified in writing on the family’s registration form and the Offer of Employment Agreement signed by both the chosen Nanny as well as the hiring family. Full time live out Nannies typically earn $700 to $900+ per week in addition to paid holidays, sick days, vacations and sometimes even major medical insurance! The benefits package and salary is greatly based on prior experience, position requirements, and qualifications. Permanent Full Time Live In Nannies in Maryland have the responsibility to be on duty approximately 50-60+ hours per week and are aware that working parents need time to get to and from work, thereby extending the Nanny's workday beyond a standard 40-45 hour week. Live in Nannies generally are paid a weekly salary versus an hourly rate. The salary range is often anywhere from $700 to $900+ per week plus room and board. Live in positions often provide the Nanny with her own separate bedroom, bathroom and living quarters. Some live in positions provide the Nanny with a vehicle to utilize to transport the children to and from activities. Permanent Part Time Nannies generally work between 25 and 39 hours per week and are typically paid hourly rates versus weekly salaries. This is because the hours for a part time Nanny may vary slightly from week to week. The hourly rate for our part time Nannies is generally $15 to $20+/hr. in addition to some vacation benefits, paid sick time and holidays. Your children are, without a doubt, the primary responsibility of your Baltimore Nanny! Rest assured, your ABC Nanny will take care of anything involving the children, including (but not limited to): children's laundry, children's meal preparation, dishes, cleaning up any messes made from activities during the day (such as arts and crafts, outside play, etc. ), and organizing and cleaning the play areas. Children are the main focus of ABC Career Nannies! They are very knowledgeable and their performances will confirm that to your family each and every day!